Make a difference in someone’s life. For good. It takes a lot to be a nurse. It requires skill: knowing the human anatomy like the back of your hand. It takes stamina: holidays spent in the hospital and day shifts that turn into long nights. It takes compassion: the ability to welcome new life into the world and hold a hand as life slips away. Nursing is a career that demands sacrifice. A calling that demands courage. A life that lets you impact countless other lives in the process. If you feel called to this honorable profession, then Reinhardt University’s Bachelor of Science in Nursing (BSN) will prepare you to enter the field and build a long and rewarding career. 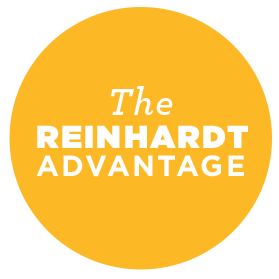 Students interested in the BSN program must first apply and be accepted to Reinhardt University. Students may apply to the BSN Program in the last semester of completing the pre-nursing curriculum. Become the nurse that healthcare needs now. In addition to caring for patients, nurses spend considerable time counseling, consoling, and reassuring their patients’ loved ones. The BSN will prepare you to care for others at the bedside and beyond. BSN students will utilize the labs and classrooms of The Appalachian Campus of Chattahoochee Technical College (CTC) to gain hands-on experience with state-of-the-art equipment. Patient care clinicals will be in the metropolitan area of Atlanta. Take a look at our high-fidelity simulation. The BSN curriculum and our nursing professors will help you prepare for the National Council Licensure Examination (NCLEX), which is required for your nursing license. Reinhardt’s relationships with clinical sites and hospitals in the area may open the door to additional learning and employment opportunities. The Reinhardt School of Nursing will utilize established and innovative educational practices to produce the next generation of nurses grounded in the roles of leaders, innovators, collaborators, educators, researchers and practice experts in providing compassionate, safe, quality focused nursing care. The purpose of Reinhardt School of Nursing is to prepare future professional nurses in both the science and art of nursing. The purpose includes preparing the student to be a nurse who is both caring and compassionate while utilizing critical thinking and clinical reasoning as well as evidenced based therapeutic interventions to meet the health care needs of culturally diverse populations along the continuum of health. In addition, the purpose of the Reinhardt School of Nursing purpose is to prepare the student for the role of the professional nurse in the ever changing climate of healthcare in both the local and global community. The mission of Reinhardt School of Nursing is to prepare students to be competent, caring, professional generalist nurses who are lifelong learners and thrive in providing competent, safe, ethically responsible, culturally sensitive, patient and family centered care in the ever-changing healthcare landscape. 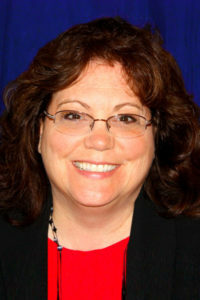 With more than 25 years of experience in nursing, hospital administration and higher education, Dr. Blackard has devoted her life to the welfare of others, and now, to creating the next generation of holistic, talented nurses. Having experience opening a School of Nursing, Dr. Blackard brings invaluable insight to Reinhardt as she spearheads the development of our own School of Nursing and Health Sciences. The baccalaureate degree program in nursing at Reinhardt University is pursuing initial accreditation by the Commission on Collegiate Nursing Education, 655 K Street, NW, Suite 750, Washington, DC 20001, 202-887-6791. Applying for accreditation does not guarantee that accreditation will be granted.